Ocean Freedom, a fast stylish 20-metre luxury cruiser, goes to two great destinations – the crystal-clear shallow waters of Upolu Cay and surrounding reef and “Wonder Wall” – a truly magnificent snorkel and dive experience on the Outer Edge Upolu Reef. 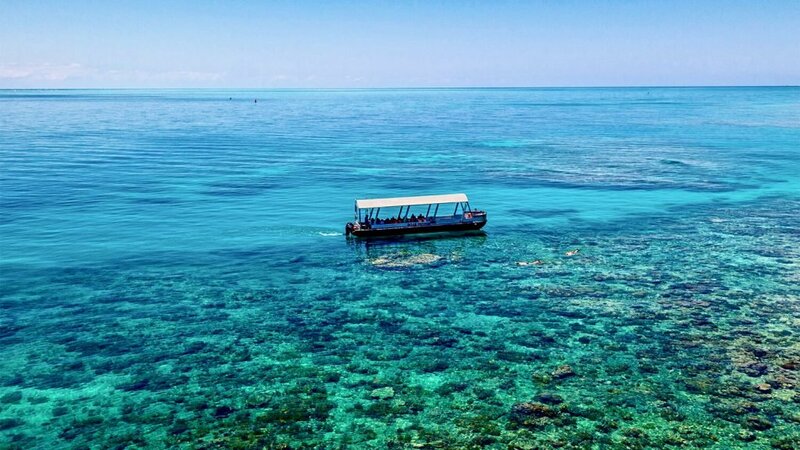 Experience an informative complimentary Glass Bottom Boat and Adventure Drift Snorkel tour with their very attentive snorkel guides (all top snorkel equipment included). With only just over an hour to arrive at the first reef site and only 10 minutes travel time to the second – Ocean Freedom offers six hours to enjoy all the activities and relax with no rush in the day. Enjoy Danish pastries, fresh fruit upon boarding, a smorgasbord feast for lunch and cheese, fruit and cake platters on the comfortable cruise home. Outstanding personal service with low guest numbers, high crew to guest ratio and snorkelling tuition with even personal in-water crew assistance if needed. Very personal optional diving offered with only two divers to one instructor on your very first dive and a complimentary guide if a certified diver. Comfort guaranteed whether you prefer sundeck, shaded areas or an air-conditioned saloon. Simply Superb!